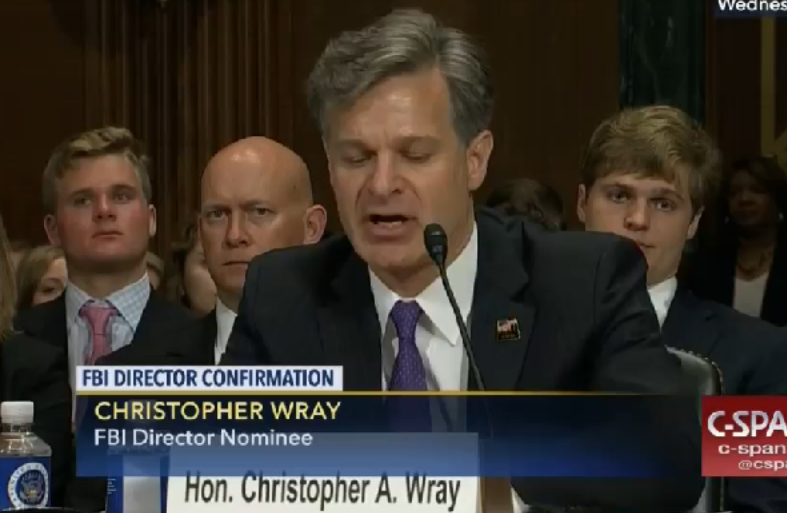 Are you suggesting that Wray is not aware that he’s creating/perpetuating a myth (read, blowing smoke at people at a disadvantage in terms of knowledge and expertise)? And haven’t Wray et al lived in a parallel universe for decades when it comes to hiding what the government is up to? As a practical matter, doesn’t Congress have access to its own experts on this stuff? Any reasoning that leads you to conclude in your mind that your scenario is not already occurring? Parallel Construction can work both ways. OT: Spy vs Spy. A FVEY wants to help. Canada’s electronic spy agency says it is taking the “unprecedented step” of releasing one of its own cyber defence tools to the public, in a bid to help companies and organizations better defend their computers and networks against malicious threats. Congress Is Debating A Bill To Extend The Power To Spy On Americans – Without A Warrant – To Trump, The NSA, And The FBI. It Must Be Fundamentally Fixed Or Stopped Dead. OT: I Drink Your Milkshake. There are two types of fourth-party collection: active and passive. Passive collection involves stealing stolen data after it leaves the victim’s computer and as it traverses undersea cables and routers on its way to the hackers’ infrastructure. This kind of interception requires access to internet infrastructure and also requires the ability to decrypt the stolen traffic if the thieves have encrypted it.